I’m only getting around to writing about these photographs from late 2012 now. 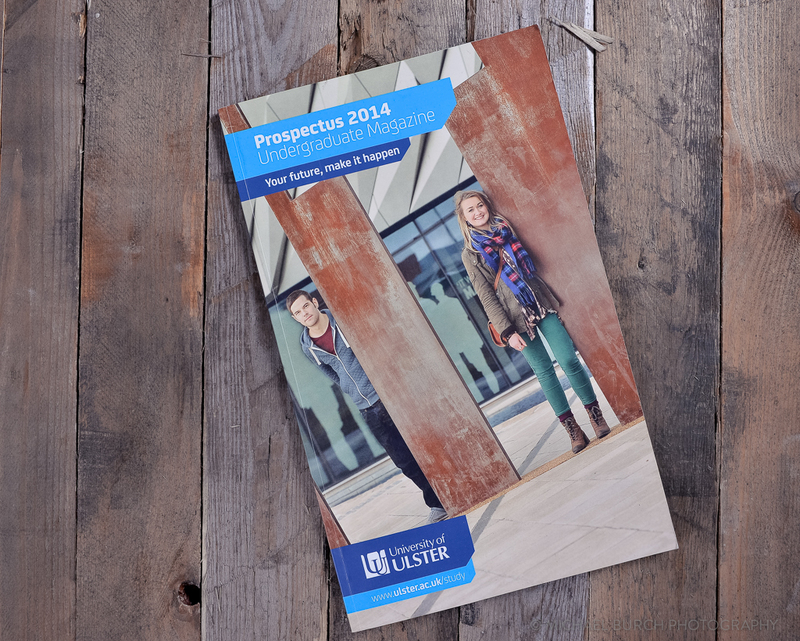 The reason for the delay in posting them online is that they were only used at the start of the year for the 2014 University of Ulster prospectus. The design of the 80 page brochure takes a while to put together and as such the photographs were all scheduled to be taken a year in advance of them being used. 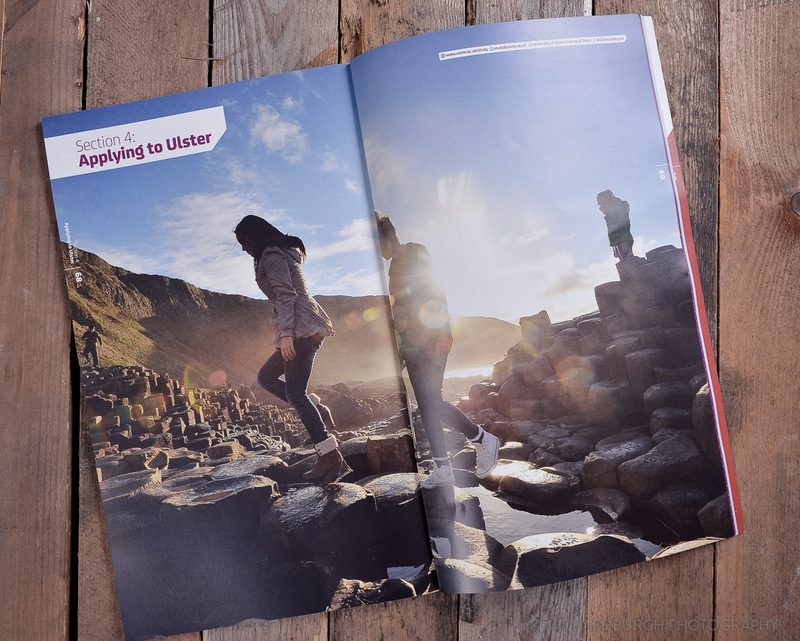 I was contact by the design company handling the work on the prospectus and asked to get a variety of images from the four University of Ulster campus locations in Belfast, Jordanstown, Derry and Coleraine. The brief was to visit each site over a period of four days, a day on each. There would a mini bus of students who had volunteered to come along and take part in the photography. I have to say job was great fun and a good chance to try out different ideas throughout the four days. The plan was that there were key buildings and locations scheduled for each day. Normally the first half of the day was set aside for campus locations and then after lunch the second half of each was used to get shots on location in the local area. The brief for the photos was fairly open, the designers wanted a wide variety of shots and had sent through some mood boards with some example photos to give me an idea of what they needed. From a technical point of view, most of the time we didn’t have long in each building/room/location to set up so these were a mixture of available light and off camera flash. From what I remember I used everything from 16mm through to 200mm for these. Each location varied greatly so I had everything in the bag just in case. 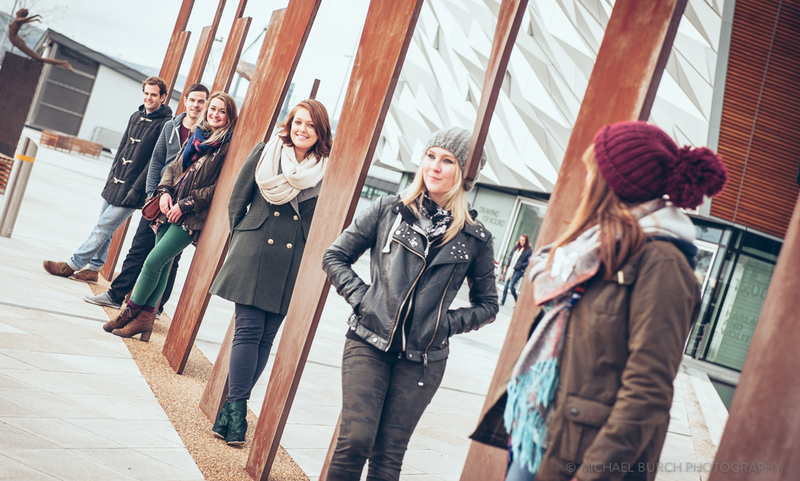 Below is the front cover of the university prospectus with two the students at the famous ‘Titanic’ sign outside the Titanic building in Belfast. 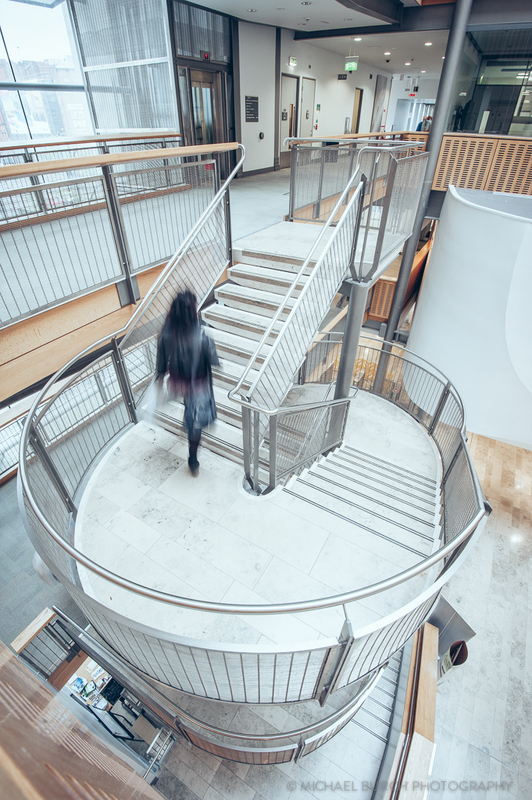 This shot below was one of my favourites from the four days and below that is the printed photo used in the 2014 prospectus. 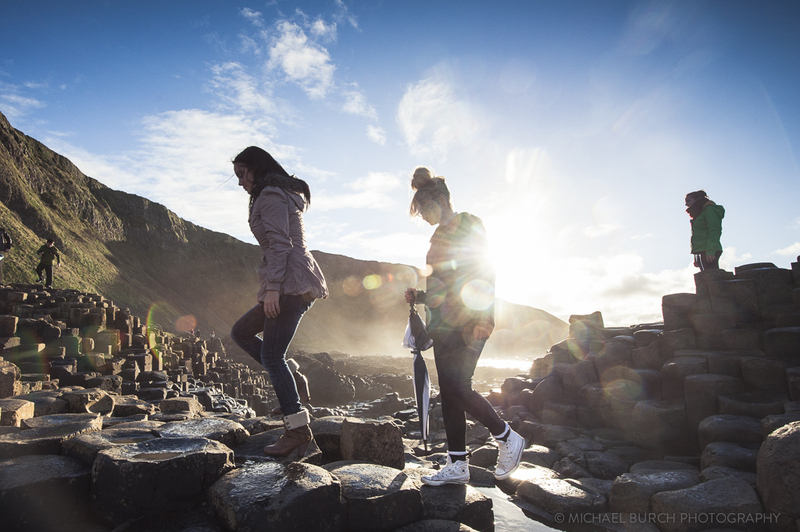 We visited the Giant’s Causeway on a windy but very sunny afternoon with a lovely low sun in the sky. I used a 16-35mm wide angle for this shot along with a graduated ND filter. Photographing into the sun caused some strong flare but I think it adds to the photo. I’ve added a gallery below to a handful of images I’ve picked out from couple of thousands images taken over the four days. Click the images to launch a gallery.